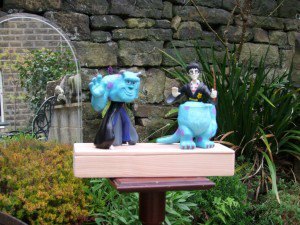 Harry and Sully now have a band saw box base which contains an Oak Sprite wand, just what you need for those awkward situations. Now all I need is the right html spell for rotating an image in WordPress !! !